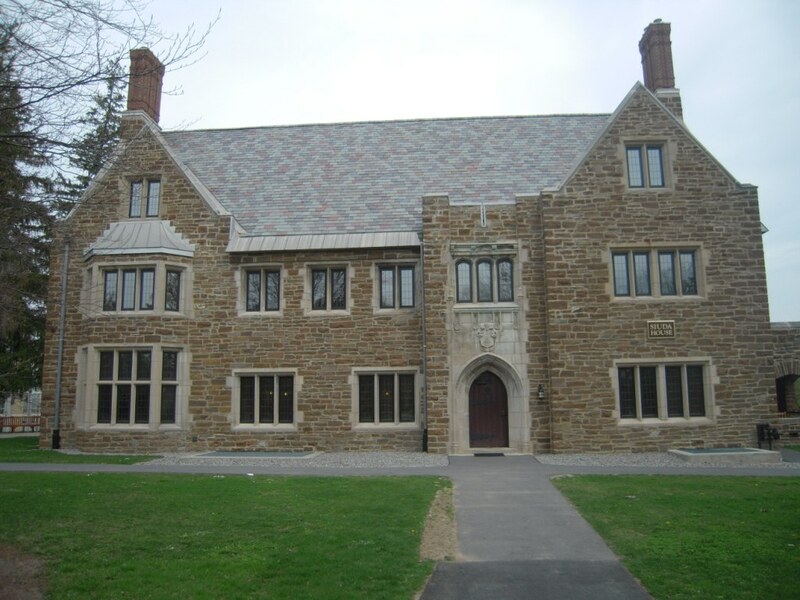 The Sigma Phi house at Hamilton College as seen today. Yesterday, we talked about Phish, walking the fine line between being silly and being professional. Well, the duality of Phish has another dimension for today’s show. They also have two different circuits they’re currently playing on. The circuits are very similar and overlap but there’s something completely different about them. I’m talking about the club circuit vs. the college circuit. Yesterday, on the bar circuit, we had the first gig in a major music market and so everything felt tight and calculated. Your ability to bring patrons in the door and buy drinks, factors into your ability to come back and hopefully grow into larger venues. Today, we’re back on the college circuit. The gig’s most likely already been paid for. The people who are going to be there are already there and allows a band to relax and just play the show. There’s no pressure. On Phish.com, it’s noted in Mike’s journal that even he could feel how relaxed this gig was. You can feel this during this show immensely. It’s not the most interesting show but there’s a different vibe to the songs. This gig takes place in the Sigma Phi fraternity house. You can actually visit the building as it has since been taken over by the University and is now Siuda House, home of the admissions office since 2003. Of course, it’s been totally renovated so it won’t look anything like when Phish played there but still something cool to say. Musically, the show doesn’t have too many differences from previous shows. There’s a really cool move from the “YEM” vocal jam to “Possum”. There’s the last performance of Little Feat’s “Time Loves a Hero” until Star Lake ’98. It’s a shame because it’s probably their best performance of it and would have only improved if it had stuck in rotation. I think the relaxed vibe also might have helped with the relaxed vibe the song needs. A real solid early “Bowie” with a fun reminder that they’re Phish from Page. Page really used to talk a lot. That gives 3.0 a more old school vibe. The “Wilson->Peaches” combo remains but Trey does also get in the “Blat Boom” before the transition. Gamehendge gets mentioned a lot unlike at Molly’s where it wasn’t mentioned at all. A nice tight early “Mike’s Groove”. The silliness gets unleashed with an always fun “Icculus”. All-in-all, a good listen but nothing required but also good to show the contrast between the two worlds Phish is involved in during this period of their career.